On your initial visit to our clinic you will meet first with either Dr. David Page or Dr. Michael Page, please inform us if you have a preference for which doctor you would like to see. 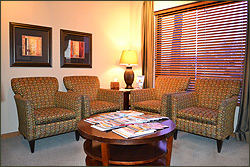 They will speak with you candidly to determine how we can best help you reach or maintain oral health. 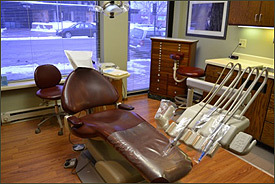 If indicated, x-rays will be taken, a thorough cleaning will be performed by one of our hygienists, and then the dentist will return to perform a comprehensive exam in order to develop a specific treatment plan for your unique dental needs. Following a detailed discussion of your treatment options, you will leave your first day with a full understanding of all your dental needs and a comprehensive treatment plan detailing the treatments we feel are most appropriate for you to bring you to an optimal state of oral health. Because we understand completely that the initial consult may create more questions than it does answers we are always happy to provide follow-up consultations at no additional charge as necessary to help you make the best possible choices concerning your oral health. If you have had a dental exam and dental x-rays within the last twelve months, please speak to your previous dentist and ask to have your x-rays emailed to our office. You can also print out our Patient Registration Form & bring it with you to your appointment.